DUBAI: Ministry of Health and Prevention has announced that it will utilise Artificial Intelligence technologies in X-ray equipment that are used in medical examinations for residency procedures in the country. This initiative aims to protect members of society from communicable diseases, as well as enhancing the level of health care services in order to ensure customer satisfaction. 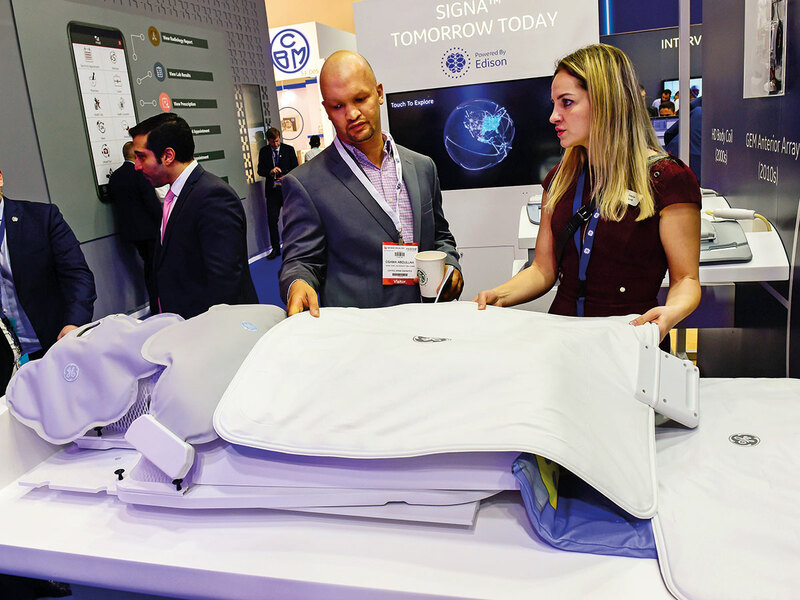 The announcement was made at the Arab Health 2019 Exhibition and Conference, which is being held at the Dubai World Trade Centre. This technology is based on algorithms that employ Artificial Intelligence in X-ray devices to identify communicable diseases through the X-ray films of a patient, which then determines the risk of communicable diseases. The accuracy of this technology is about 98 per cent, with only two per cent of cases needing a review by an X-ray specialist. The diagnosis of each case spans about 0.1 seconds instead of the three minutes it usually takes during the traditional method of reading X-ray films, which saves a lot of time and effort. Dr Hussain Abdul Rahman Al Rand, assistant undersecretary for the Health Centres and Clinics Sector at the Ministry of Health and Prevention, clarified that utilising Artificial Intelligence technologies in radiation devices used in medical examinations that are part of the UAE residency procedures is considered to be an innovative improvement that helps to protect members of society from communicable diseases and speeds up medical examination procedures while also maintaining high accuracy. Last year, Dubai Health Authority (DHA) had also announced use of AI to sort out all chest X-ray scans required for mandatory medical fitness for residency purposes. This measure not only helps streamline the system, but also cuts down processing time and provides a more efficient and consolidated system for issuing results.